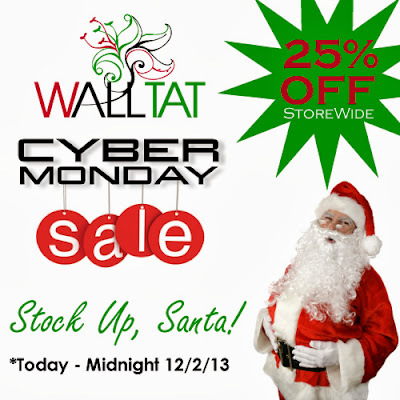 WALLTAT Wall Decals are on SALE for Cyber Monday through midnight December 2nd, 2013. The 25% OFF Sale is SITEWIDE, so be sure to shop all collections to find the ideal design for your decor. Need gift ideas? 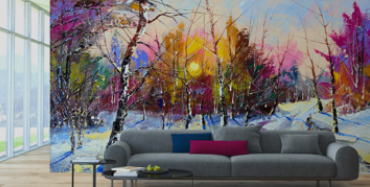 WALLTAT Cyber Monday sale even includes the full discount off of Gift Certificates. Stock up on wall decals and wall decal gift certificates today and receive 25% OFF! Its our biggest sale of the year! Join us on Facebook for additional sales throughout the season and year round.